In this video we’ll start talking about Terragen software. It is a complex and amazing package able to generate static and animated procedural landscape with mountains, terrains, sky, water, plants, etc. etc. 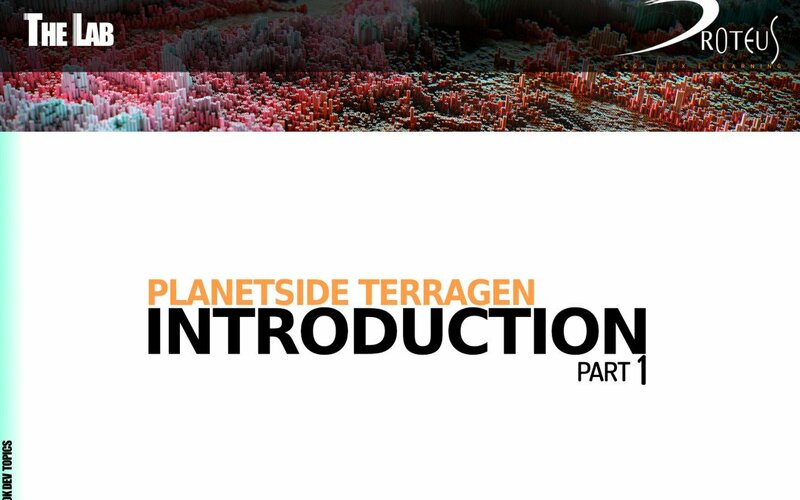 In Part 1 we give a general look to user interface just to be able working with Terragen and understand how to play with it and its UI-areas like viewport preview window, camera position manipulation, node view, etc etc. Then we’ll go step by step forward creating the basic setup for our 1st environment preparing the terrain mixing two different procedural generator, adding clouds and managing some parameters to control its look, moving and tweaking lighting and atmosphere setup, playing with different rendering setup etc.etc.